Ellie Kendrick may be familiar to most as Meera Reed in Game of Thrones, but she has been extremely busy outside of Westeros with a series of challenging roles on stage and off. 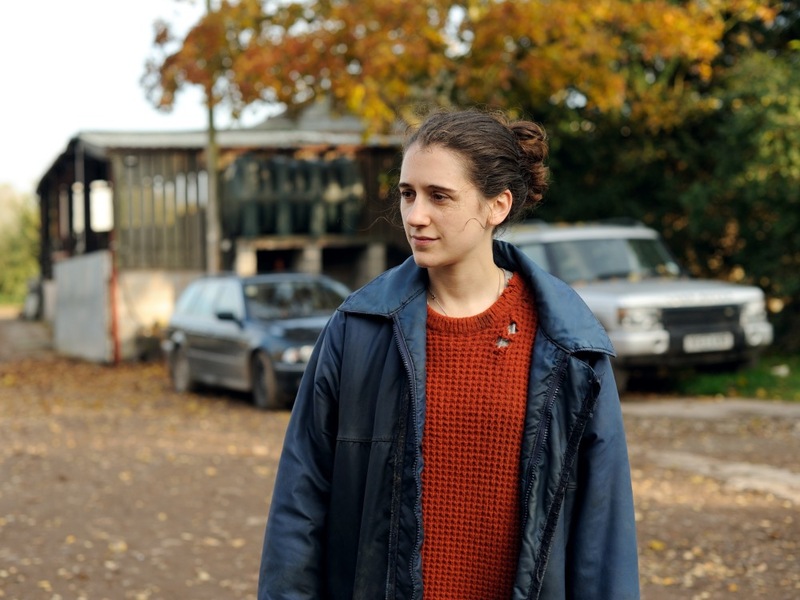 Her latest appearance, this time as the star of drama feature The Levelling, sees her take on the complex character of Clover, a British girl who returns to her farmhouse home after the unexpected death of her brother Harry (Joe Blakemore). The tone of the film is inevitably dark and the setting is as grim as it is claustrophobic. The whole film plays out entirely within the confines of the farm, as Clover is forced to come to terms with what has happened whilst also dealing with a tattered relationship with her father Aubrey (David Troughton), a man who is either unable or unwilling to open up emotionally and would rather just carry on as if nothing has happened. 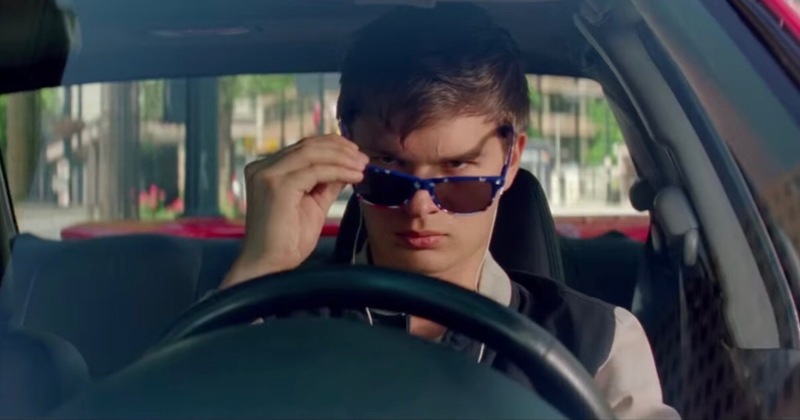 You may be forgiven for a reluctance in diving head-first into this film. When the main star is also a bit character in one of the biggest television series of all time, there is a nagging thought that she may have been cast solely to appeal to fans of Game of Thrones. Certainly the cynic in me can’t get past the fact that the timing of the release has been chosen to cash in on it; it is a matter of weeks before it enters its seventh season. To presume this would be wholly wrong. Kendrick delivers an absolutely phenomenal performance, swaying between headstong frustration to childlike confusion. It’s a great showcase of her talents and a great piece of evidence that there will be life in her career beyond the final season of Game of Thrones next year. Writer / director Hope Dickson Leach does well with the location of the film to let the audience know that this is a place that is almost uninhabitable. There’s no respite from the damp, grimness of the untended farmhouse and its surrounding land. The fact that she has achieved so much in her debut feature should be enough for the industry to take note. There’s a lot of talent here. The subject matter may not appeal to some and may be too challenging for others, but this is definitely an emotional journey worth going on. 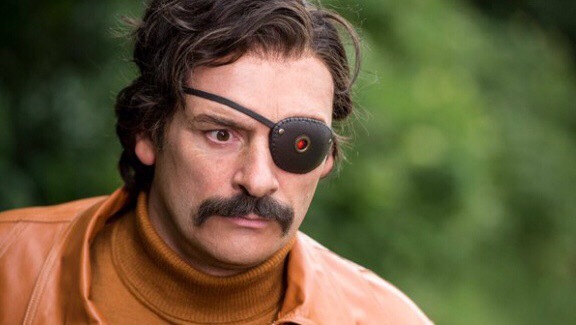 Julian Barrett and Simon Farnaby have come together to create a brilliantly British comedy in Mindhorn, with the pair co-writing and co-starring in a story about a washed up actor who can’t let go of his former glories. Barrett takes the role of Richard Thorncroft, who is better known as the titular TV detective Mindhorn. Twenty-five years after his show was axed, disgraced Thorncroft is desperately in need of a fresh angle to kick start his career. The love of his life and former co-star Patricia Deville (Essie Davis) has now married Clive Parnevik (Farnaby), who was previously a stunt double for Mindhorn. When a police investigation into a probable murderer called Paul Melly (Russell Tovey) takes a bizarre turn, Thorncroft is brought on board to help talk to the man and discover the real truth. The jokes come thick and fast, though many could be easily missed for those not tuned into this style of comedy. Plenty of the beats come from Alan Partridge and it does feel like a variation on the script for Alpha Papa. This isn’t a bad thing at all. Incidentally, Steve Coogan appears as a rival and former co-Star of Thorncroft named Pete Eastman. The story is quirky, but comedies live and die on the amount of laughs they deliver. In this sense, Mindhorn soars. From the nuanced references to 1980s British television, to cringeworthy moments largely shared between Barrett and Farnaby, it is hilarious from start to finish. Foreign markets are yet to experience the brilliance of the film. If I’m honest, I’m not sure how it will land. The humour is distinctly British, whatever that means. Mind you, it’s more accessible than the likes of Monty Python and The Mighty Boosh, which all enjoyed global audiences, so hopefully I am wrong on that front. This isn’t the kind of film that rises to the top of the charts on its first week of release. Instead, I’m predicting it will follow the path of Anchorman and Hot Rod to become a comedy sleeper hit that people will talk about in a few years’ time. Do yourself a favour and get in on the act now. You can’t handcuff the wind. I have to lay out some home truths before we start. After five years, it appears the dust has settled and most of us have decided Prometheus was a pile of rubbish. The Alien prequel was a return to the helm for Ridley Scott after a 33-year hiatus. Despite the anticipation, the disappointment amongst the hard-core fans stemmed from some convenient plot points that seemed to allow progression of the story despite not really making sense (“Why did she run in a straight line?”, “Why did the navigator guy get lost?”, “She’s just had a caesarean… how is she running?”). I saw the film as a midnight screening and I remember coming out of the cinema buzzing with excitement. The film was, in my opinion, a return to form for the franchise after the overwhelmingly disappointing Alien v Predator films (which worked better as a toy line than as a film). It wasn’t a patch on the first two – Alien and its sequel Aliens – but probably stood alongside or better than any of the other instalments. Yes, that’s right. I am a fan of Prometheus. I went into an early screening of Covenant with the same kind of excitement and anticipation as I had five years ago. The advertising campaign has been nothing if not relentless, so finally getting to see the film on the big screen felt as much a trip to the cinema as it was a way to quench my carefully manipulated thirst for a next instalment. The film is set in 2104, ten years after the main events of Prometheus and around twenty years before the events of Alien. The opening sequence, which features a reprisal cameo from Guy Pearce as Peter Weyland, explores the themes of humanity’s desire to meet its creator. It could easily have been a part of the first instalment, but bridges the gap and reminds viewers of the unhinged nature of David, one of two robots played by Michael Fassbender. The main body of the film focuses on a colonisation mission from Earth to to a remote planet Origae-6, aboard the titular spaceship Covenant. 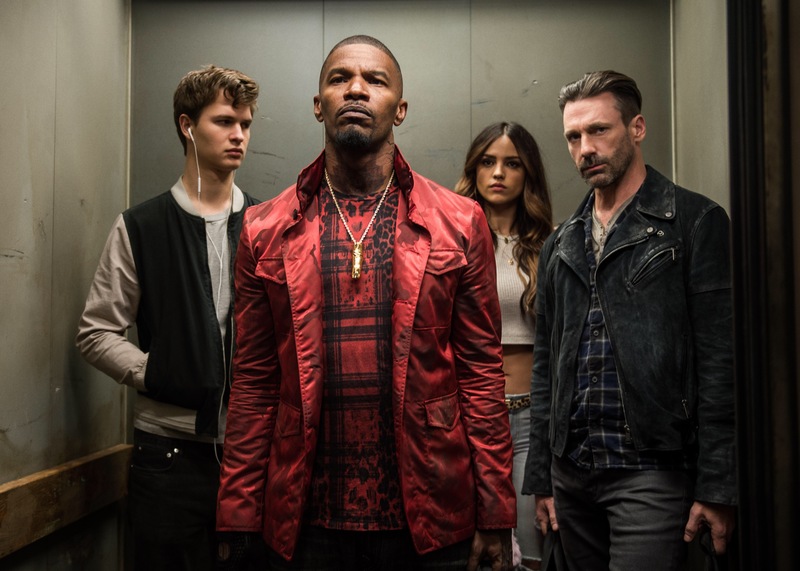 The main crew includes Captain Branson (James Franco) and third in command Daniels (Katherine Waterston), a terraforming expert and wife to Branson. Christopher Oram (Billy Crudup) is a man of faith who is unexpectedly promoted to captain shortly into the mission. Michael Fassbender’s second character in the film is a synthetic android named Walter, a more advanced version of David. The crew also includes Chief Pilot Tennessee (Danny McBride), Sergeant Lope (Demián Bichir) and Karine Oram (Carmen Ejogo). Aboard their ship is around 2,000 human embryos, with the purpose of populating their destination planet upon arrival. After a neutrino shockwave hits the ship, the main crew are woken up to deal with the repairs on the ship. They are seven years away from their destination planet but a matter of weeks away from an alternative planet that appears to offer the same prospects as Origae-6. New captain Oram makes the decision to land on the newly-found planet, which turns out to be the one Dr Elizabeth Shaw (Noomi Rapace) and David set sail for at the end of Prometheus. Needless to say, the story goes downhill from here for our crew, with disastrous consequences. Given the popular misgivings about Prometheus, I couldn’t help but pick fault with a couple of major issues with the decision making of the crew of the Covenant. Most glaringly, none of them seem keen to wear masks when they leave the spaceship, even though there’s no obvious investigations into how viable to atmosphere is to breathe. It just seemed odd that they were so confident only minutes after being so worried. Surely that’s rule number one for space travel? All the people on the ship have a partner on there, meaning everyone is at risk of losing a loved one at every turn. This falls down, however, when you throw a couple of red coats onto the first expedition. Where were the devastated husbands and wives grieving their loved ones? Do they not get to show emotion because their rank is too low? I’m looking at Ledward here. Surely he has a wife or girlfriend on board? Aside from picking nits, the film is genuinely a great effort, probably a lot better than Prometheus. There are a number of great nods to previous films – the face-hugger makes its comeback – and it feels like Scott has set out to make a crowdpleaser. That’s definitely not a bad thing. The partner element is an intelligent way to add depth to all of the characters. Shortly into the main plot, James Franco’s Captain Branson dies, immediately answering the question of why he wasn’t featured more prominently in the advertising campaign (a missed trick in my opinion). This plunges Katherine Waterston’s Daniels into immediate emotional turmoil, though she quickly rises out of it and continues with her mission objectives. Waterston has some big Sigourney Weaver sized shoes to fill in terms of taking the female lead role. I’m sure she has felt the pressures of her predecessor, though it doesn’t show on screen. She does a fantastic job and at times carries the film, acting as the sensible decision maker, the natural leader and the only one with the will to fight back when everything goes pear shaped. Sure, the strong and intelligent female protagonist is becoming a bit of a broken record in modern cinema, but it shouldn’t be forgotten that Signourney Weaver in Alien is probably the best early example of it being done so well, certainly in terms of Blockbuster films in genres usually associated with male audiences. The final act is wholly worth of the Alien canon, rescuing a film that at times had threatened to go off the rails. It’s here that Scott ramps up the tension and action, paying off the setup over the previous 90-ish minutes. If the final 30 minutes is great, then the final ten seconds is utter genius. If you have any misgivings about the Alien franchise, Covenant is the film that will bring you back on track. Alien: Covenant | Prologue: The Crossing – Watch now!! It has an awkward title, sure. It isn’t that good, I know.